Get your club shirt collection correct with high collar club shirts by Axxess. Axxess makes button down shirt for the club that have that modern fit no tuck in style with high collars. 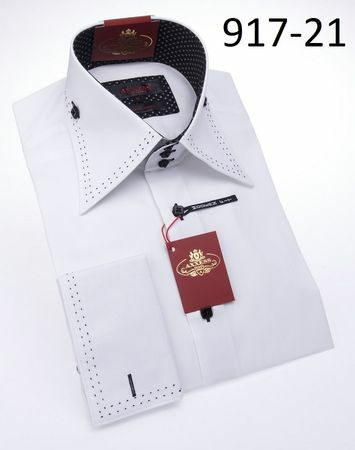 These fancy style club shirts are made in Turkey and are made of nothing but the finest long staple cotton fabric.